You hate your bank. Admit it. There’s a bunch of fees you don’t understand. The online account options are okay, but not that great. You have to swing by a branch to deposit any checks you get. And someone please explain to me how there are 5 different ways to have a checking account. That’s just crazy. Hating your bank is one thing, but this article isn’t about describing your angst against the suits that hold your deposits. You hate your bank? So what? Do something about. That’s what I’m going to show you today. The average person has a checking account with a debit card and a savings account for long term savings, so we’ll talk about those today. Your average brick-and-mortar bank (aka the kind you can walk into a physical building to get service) has atrocious options for savings. Your rate are going to be pathetically low — we’re talking percentage points of percentage points. 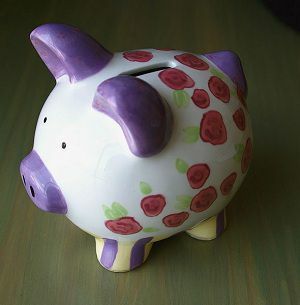 The FDIC released numbers on June 25, 2012 that put the national average for savings accounts at 0.09%. That’s $9 in interest for an entire year on a $10,000 balance. Pathetic. Online savings accounts fare much, much better. There’s no way around it: going online is the only way to get decent interest yields on your deposit. Many online savings accounts are paying interest in the 0.75% to 1.0% range right now. That’s at least 8x as much as the national average; you would earn $100 in interest at the top end of the range on a $10,000 deposit. Get an online savings account today. Earning a lot more interest isn’t the only perk. When your money is online it is a lot more difficult to run down to the bank and drain your funds in a panicked rush. It’s built in protection against your emotions — and that’s nearly priceless. Checking accounts are slightly different just because your usage of brick-and-mortar facilities depends on your banking profile. If you never find yourself going to the bank for anything there is no reason not to switch to an online checking account. If you are constantly at the bank — depositing checks, grabbing cash, and so on — then it can make sense to have a brick-and-mortar institution. Just because you might need a physical bank location near you doesn’t mean you shouldn’t seek out better alternatives, though. Here are two to consider. Online accounts pay interest, too. You can usually get between 0.15% and 0.80% depending on how much money you keep in your checking account at one time. You’ll be able to write checks, transfer funds back and forth between your online savings account, and use an ATM just like you would with any other bank. A more unfamiliar option is that of a rewards checking account. When I say rewards, I don’t mean getting points or cash back for your debit card spending. No, these magical accounts are much better than that. Rewards checking accounts are programs that banks and credit unions use to market themselves better to the public. The accounts help draw in a lot of potential customers because they’re that amazing. How amazing? You can see interest rates of 2% to 3% on rewards checking accounts. Seriously. More than online savings. Bank or credit union wants to grow. They offer high interest rates to draw in customers. For the average person, having a limit of $20,000 to $30,000 is more than adequate. Customers open accounts, total deposits go up, and over time the financial institution will close off the ability to open a new account for customers while leaving the plan in place for current accountholders. Let’s do some quick math. Let’s say you can deposit $25,000 at one of these institutions and earn 2% interest. That would take your total interest to $500 in one year. It’s a beautiful thing. Where other rewards programs encourage spending (cash back, points, etc. from each purchase), this encourages saving money into the checking account. Call it a checking account, call it a savings account, doesn’t matter to me as long as it is paying a high interest rate. Granted, these accounts can’t be found on every street corner, but they are out there. I recommend using DepositAccount.com’s Rewards Checking Account search tool. Jumping ship to higher interest rates and better customer service is a great thing, but hang with me just one second. You don’t want to leave a large, stable institution and jump into a gigantic mess, do you? That’s where bank health ratings come into play. Just like you wouldn’t go to a restaurant with horrible health ratings, an unhealthy bank isn’t deserving of your money. These guides will help you know whether or not you should be excited, timid, or scared of depositing your money with a specific bank or credit union. One last thing to consider: just because a bank scores in the middle of the rating doesn’t mean you shouldn’t be interested in depositing your money there. As long as the bank has FDIC coverage (NCUA coverage for credit unions), your deposits are covered up to $250,000 total. If the financial institution failed, you will get all of your money back. In the meantime, you get significantly higher interest rates than you can find elsewhere. You can get higher interest rates and the same access to your money that you have now by switching to an online bank. Nothing is going to beat the interest rates than an online savings account offers. The lower overhead of not having physical branches is a competitive edge. Make the switch now. For most people, online checking works just as well as brick-and-mortar checking. Rewards checking accounts have specific requirements, but the rewards are significantly better than anything that any other account can currently offer. Switching banks won’t make you rich, but the added interest can help you pay off debt or build up your emergency fund faster than you could otherwise. So why not look into switching today? Great post! This is great advice and i have already find a better bank and that is credit union. Credit union is the best of financial insinuations offers higher interest rate and less fees. Great ideas. I didn’t know that online accounts paid that much interest. I can remember when all savings accounts paid a lot more. I have an online account where a specific amount of money from my payroll is automatically transferred to each month. I use it to pay for our monthly bills and utilities, so I get to access it only once or twice each month. It is obviously more convenient to pay online. I’m actually thinking about doing this for a smaller account I don’t need to access all that often. Thanks for the suggestion. I agree with orange. Credit unions are often a great place for low fees and higher than normal bricks and mortar interest rates. I do use online banking with ing direct though and love it. Good points! I would add find a credit union. Many credit unions allow anyone to join. It is a much better solution.